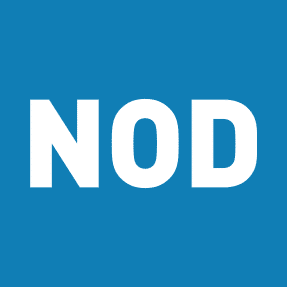 NEW YORK (June 9, 2016) – The National Organization on Disability (NOD) today announced the 27 organizations that have been selected to receive the 2016 Leading Disability Employer Seal™. The Seal is a new effort by NOD to recognize companies that demonstrate exemplary hiring and employment practices for people with disabilities. This public, annual recognition is designed to applaud those organizations that are leading the way in disability hiring and encourage additional companies to tap into the many benefits of hiring talent with disabilities, including strong consumer preference for companies that employ individuals with disabilities and greater employee engagement across the workforce. The winning organizations were announced via a video message by NOD Chairman Tom Ridge, who congratulated the inaugural Seal winners for learning what he hopes other companies soon will – that people with disabilities make outstanding contributions to the workplace. While the Tracker is entirely confidential, organizations may opt to be considered for the NOD Leading Disability Employer Seal. Responses are scored, taking into account both disability employment practices and performance. Scoring prioritizes practices that are associated with increased disability employment outcomes over time, in addition to current performance in disability employment. Respondents also receive points based on the percentage of people with disabilities in their workforce. The Disability Employment Tracker™was developed by NOD in partnership with the National Business and Disability Council (NBDC) at The Viscardi Center and Sirota Consulting, a leading provider of organizational assessments. The Tracker was introduced in 2013 with lead support from the Exelon Foundation and guidance from leading research firm J.D. Power. To be considered for the NOD 2017 Leading Disability Employer Seal, companies can sign up for the Disability Employment Tracker. While companies can use the free Tracker assessment at any time, to be considered for the 2017 Leading Disability Employer Seal submissions must be received during the designated qualifying window, which will open in autumn 2016. Sign up here and NOD will notify you when the 2017 qualifying window opens.